All companies have a purpose. They all start with an idea and a passion to solve a problem. The same is true for Flagger Force. Flagger Force began by identifying a problem within the temporary traffic control industry and quickly became the solution—creating a safer industry and community. For those of you who have not heard our story, during the 1990s, co-founder Mike Doner had developed a strong niche in the temporary staffing industry in serving the flagging needs of local utilities in York, Lancaster, Adams, and Berks counties. 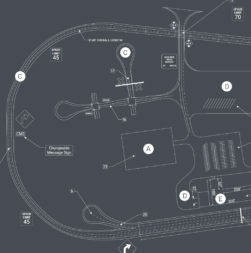 He identified an opportunity in the market for a professional supplier of full-service work zone protection services. Michele Doner was serving as the controller for Easter Seals, running her own small business, and supporting charitable organizations. At the time, traffic control was not an established industry or profession. Mike and Michele realized there was an important opportunity to create a safer work environment for the employees, clients, and public and to establish the industry standards. A business plan was created with the intention of making a positive difference in the community by creating jobs and supporting utilities, while allowing those that work on or near roadways to focus on their job. 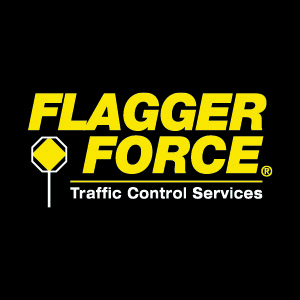 In September of 2002, Flagger Force Traffic Control Services was born. While Flagger Force was open for business, we still needed clients. So, both Michele and Mike continued to work their 9–5 jobs while also building the business. The first Flagger Force client, PECO in Philadelphia, Pennsylvania, was secured in February 2003. In 2004, we purchased our first truck and began establishing work zones for Stewart & Tate in York County, Pennsylvania. As the business grew, so did our capability to invest in training and equipment, which aligned with our goal of being the leader in traffic control services. Sometimes the best option in terms of quality was to make things ourselves and, to this day, all the Stop/Slow paddles are made by the founders and their family. In 2006, Michele and Mike left their day jobs to place their full focus on Flagger Force. Since Flagger Force’s inception, our owners’ intention has been to create a company that provides development opportunities for all employees. All field-based employees must complete training classes through our Flagger Force Academy®. Currently, the industry standards vary by state, but none are as aggressive as Flagger Force’s. In addition to the flagger certification course, we also offer a continual education program, which provides a yearly average of approximately 60 hours of training per employee. In 2016, our employees completed 124,534 hours of training. We are proud of each one of our team members. From the office to the field, our clients can clearly see a difference in the services we provide. When we are not working with our clients, we are partnering with them for community events, such as Make-A-Wish Mother’s Day Truck Convoy and National Work Zone Awareness Week, held in April every year. Presently, Flagger Force has over 1,600 employees throughout Pennsylvania, Maryland, Delaware, New Jersey, and Virginia. The unprecedented amount of growth for our company has earned recognition by various publications, such as Inc. Magazine and Engineering News-Record. 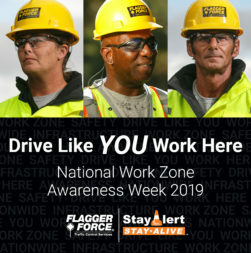 Flagger Force continues to make a positive difference on the roadways across the Mid-Atlantic region, and we hope to share our best practices along the way. Our valued mission was true then and remains true to this day: We exist to make a difference; we believe what we do matters. Thank you to all of our employees for your dedication and hard work. The growth and pace of our business can be overwhelming at times, and it comes with as many challenges as rewards. It’s because of you that we continue to be a leader in the traffic control industry. We look forward to many more years of keeping our communities moving together.